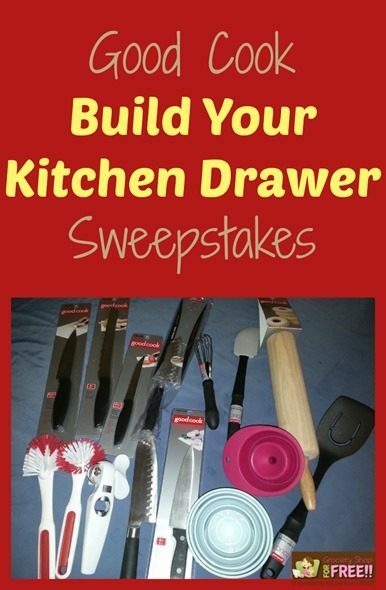 Good Cook Build Your Kitchen Drawer Sweepstakes! 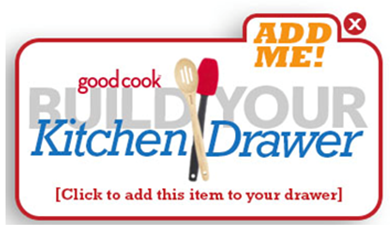 You are here: Home / Great Deals / Good Cook Build Your Kitchen Drawer Sweepstakes! Good Cook sent me 15 tools to fill my Kitchen Drawer! I told you the other day about their sweepstakes where you can win instant prizes and your own 15 tool kitchen drawer. Have you built yours, yet? 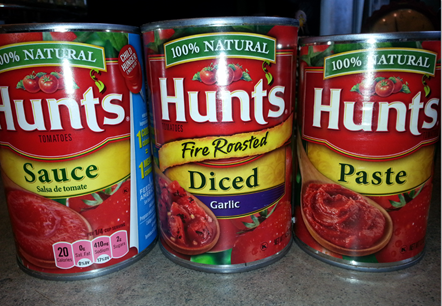 I always cook it in the Crock Pot and I always start with tomato paste, tomato sauce and either diced, roasted or whole stewed tomatoes. If I use whole stewed tomatoes I will put them in the Crock Pot first and let them cook down a little before adding the other sauces and pastes. Once the tomatoes have cooked down (or just add them all at once), add the tomato sauces, tomato pastes, and the water and stir. Cook on high while you are preparing the rest of the ingredients. I love the Spatula for getting all of the tomato sauce and paste from the cans. 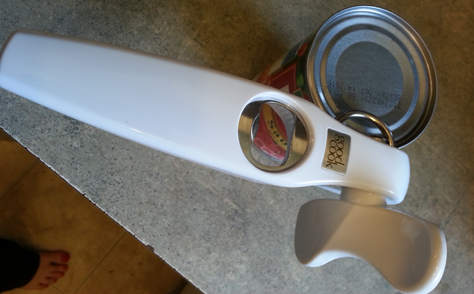 The Safecut 4-1 Can Opener is very useful, it takes the tops off cans instead of cutting them off, but, it also opens bottles with twist lids, or pulls tabs from cans and also removes bottle caps – it’s very versatile! 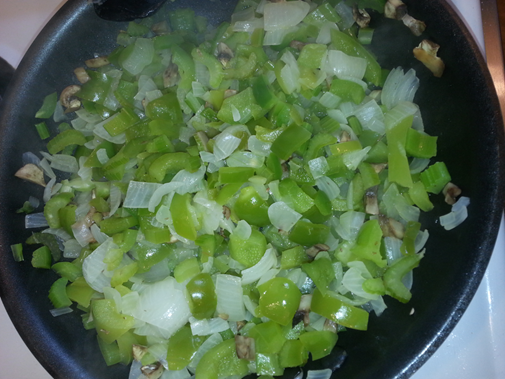 Then I chop up all of the veggies and sauté them in olive oil on medium heat until the onions begin to look transparent, but not brown. 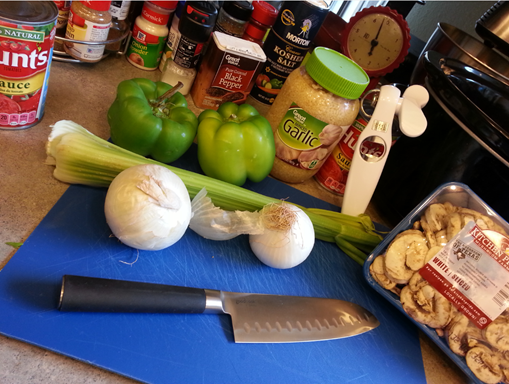 I do love the Santoku 7” Knife it is so sharp and so quickly and easily cut through all of the veggies! 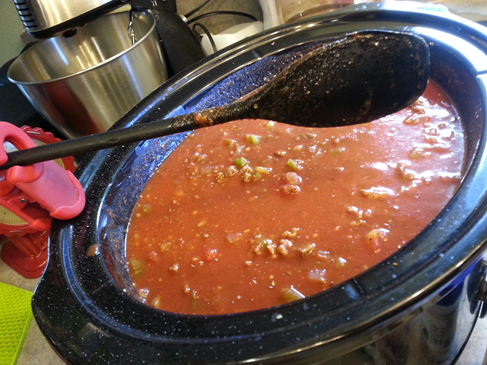 I add all of the veggies to the sauce in the Crock Pot and then I brown the meat. I was very happy with how sturdy the Nylon Turner was, I can’t stand a flimsy one. 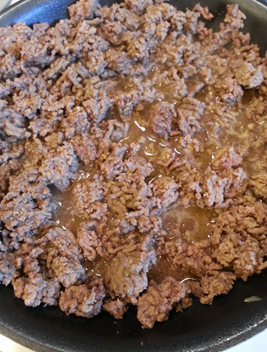 Once that is nice and brown, I drain it and add it to the sauce and then I add my spices. 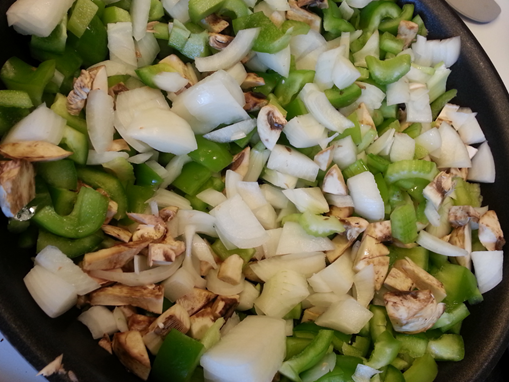 Then I let it cook covered for about 4-5 hours or less depending on the time I have. I serve it either over regular pasta or over zucchini pasta. Hubby made a fresh loaf of bread so we added a little to this and the Serrated 8″ Bread & Bagel Knife did an awesome job cutting the fresh loaf! Then, of course, the Nylon 2 Piece Kitchen Scrub Brush Set took care of the clean up! Good Cook is having a contest where you can build your own kitchen drawer and have a chance to win it! Just pick 15 items that have the Add Me button on them: The contest will run July 2nd – 17th, 2014 and during the contest everything on Good Cook will be 25% off, but if you enter to win you can get instant prizes as well as additional discounts. So, check out Good Cook and start thinking about what items you would want to win for your kitchen drawer! Check out all of the great recipes by the other Good Cook Kitchen Experts!